One of the world-leaders in ejection seats is evaluating different candidate materials for the upholstery on their ejection seats. In aircraft, an ejection seat or ejector seat is a system designed to rescue the pilot or other crew of an aircraft in an emergency. In most designs, the seat is propelled out of the aircraft by an explosive charge or rocket motor, carrying the pilot with it. While the core function of the ejection seat is for emergency use, the comfort of the seat is taking on increasing significance with pilots seated in them for over 10+ hours. Designers are limited by how much insulating cushion can be used. Pilots often complain of the seat feeling cold as the upholstery and under-cushion sit directly on the metal seat which is designed to absorb kinetic force in the event of a non-controlled landing or crash. Thermal effusivity (also known as thermal inertia) is the thermal property that defines the interfacial temperature when two materials come in contact with each other at different temperatures. Thermal effusivity is commonly characterized in the textile and fabrics industries employing test method ASTM D7984 based on C-Therm’s patented MTPS (modified transient plane source) technique. The thermal effusivity provides a quantifiable means of understanding the “warm feel” or “cool touch” of the sample. Two different candidate material samples were tested as shown in Figure 1 above. Three tests were completed for each sample in different locations. One reported test result is the average of five (5) measurements, for which the relative standard deviation (RSD) is also reported. Between each test, the sample was removed, the sensor cleaned, and the sample replaced. Results from the sample testing may be seen in Table 1, above. Sample 1 (black backing) had the lowest thermal effusivity of 101 Ws½/m²K correlating to the “warmest touch” feel of the tested samples. Sample 2 (white backing) had the highest thermal effusivity of 121 Ws½/m²K correlating to a cooler feeling. If the manufacturer was choosing which fabric to use solely based on the feel of the material, Sample 1 would be the optimal choice based on a considerably lower thermal effusivity. This analysis does not however consider additional performance data such as the materials durability or fireproof rating. It should be noted that the “warm feel” is only part of the material’s overall product performance. 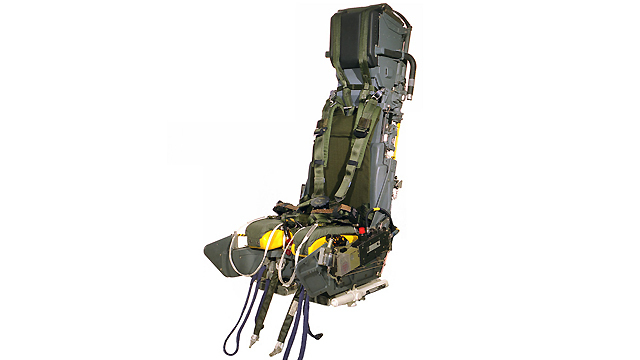 Comment on "Assessing the “Warm Feel” of Candidate Upholstery Materials for Ejection Seats"